I had originally planned on using the Women’s Day recipe for the filling, and just substituting this for the corn-meal pie crust. But neither filling was exactly what we wanted (or had), and pre-cooking the onions and squash (like the Scraping the Skillet recipe calls for) seemed like a good idea. So I modified each a bit and came up with the following. Mix the flours and cut in the butter and shortening. Add the water and lemon juice and mix. Using your hands kneed it a couple of times to bring it all together into a ball. Put in the refrigerator while getting the filling ready. Preheat the oven to 400˚F. 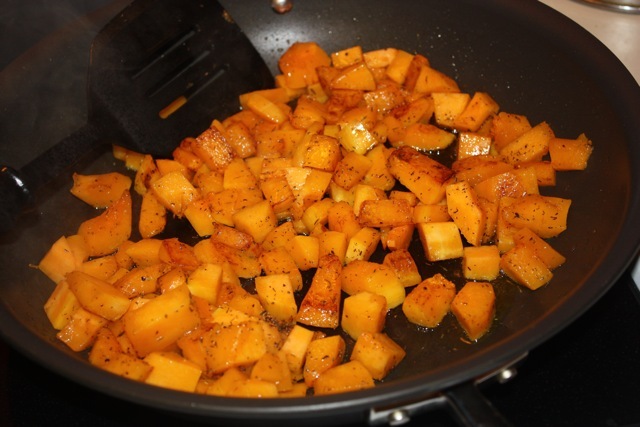 Caramelize the squash in a pan with the oil. Add the onions and caramelize. Add the thyme, salt and pepper. Remove from heat, let cool a bit. Divide the pie crust in half and roll each half into a circle about 14in across. Don’t worry too much about the shape. Move the pie crust to a greased cookie sheet (or cookie sheet with a piece of parchment paper). 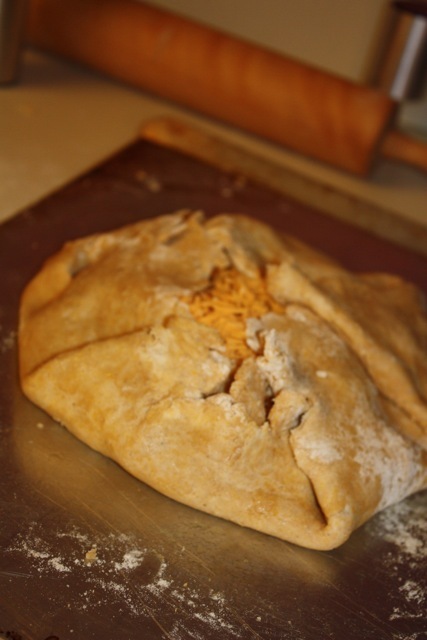 Place half the filling in each pie crust. 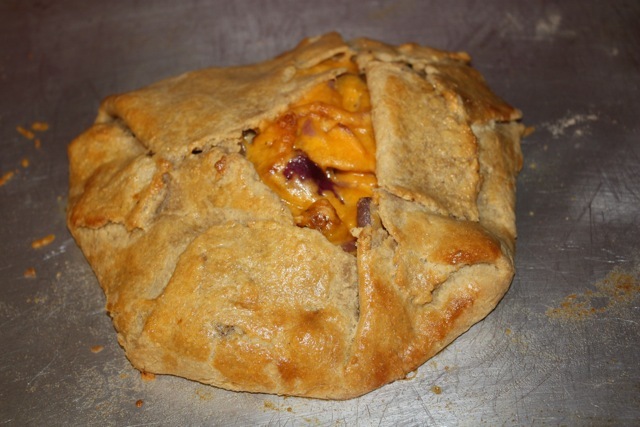 Sprinkle the cheese on top, and fold up the edges of the crust. Brush the crust wit h egg. Bake for about 20 minutes. Let cool for 10 minutes and enjoy!